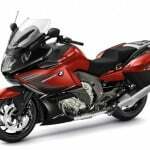 BMW is preparing to launch the ground-up redesign of its iconic R1200GS in a new 1250cc-or-so liquid-cooled Boxer powerplant, a speculative profile of which you can read about here. 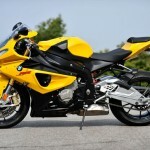 But there’s more Boxer-oriented news to come from BMW for 2013. 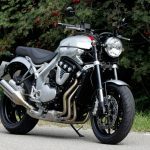 Pictures have now surfaced of a roadster-styled naked in the same vein as the existing BMW R1200R but with a tidier rear end reminiscent of a café racer or streetfighter. 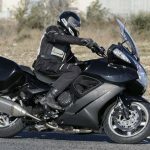 More notably, the bike includes several big updates, including what looks like a new and lighter Telelever front end and possibly a new engine. 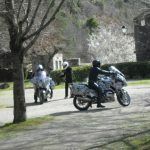 The chassis appears to be a complete departure from the current R1200 series, led by what seems to be a much lighter front end. It at first appears to be a traditional (although not for BMW) inverted fork, but there’s more than meets the eye. This profile shot reveals ergonomics similar to other sporting roadsters but with an unusually squat and truncated rear end. Note what appears to be some sort of chassis tubing stretching downward from the suspiciously beefy lower triple clamp that might be part of a lightweight Telelever Mark 2. Could there be a shock behind that headlight…? The lower triple clamp looks way more massive than what’s usually used, making us think it’s somehow linked to the chassis like the Telelever. The fork is also weird for the black strips in the area where the fork sliders intersect. It can’t be a rigid strip, because it would change in length as the fork compresses. Perhaps it’s part of the data-logging system to help evaluate the new suspension? The rear end is the traditional Paralever shaft. Now, about its engine. It’s definitely not the same motor as seen in pictures of the liquid-cooled GS, as the headers on that bike exit out the bottom of the cylinder heads, while the Roadster’s seen here depart the heads at their forward sections. 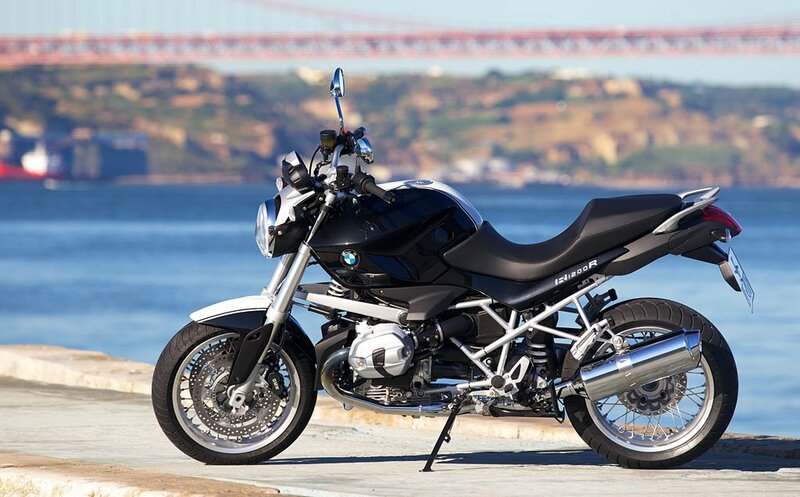 This, in addition to the right-side Paralever location instead of the new GS’s left-side shaft arrangement, has led some internet pundits to believe this is a variation of the old air/oil-cooled engine. However, the cylinders seen on this prototype don’t appear to be the air-cooled cylinders we’ve seen on the existing R1200-series bikes. Also, the cylinder head area is much larger, and there doesn’t look to be enough cooling-fin area (or even any significant fins of any sort) to shed heat without some sort of liquid cooling. But if this is an l-c motor like I speculate, one wonders why it would be configured different than the GS’s new engine. 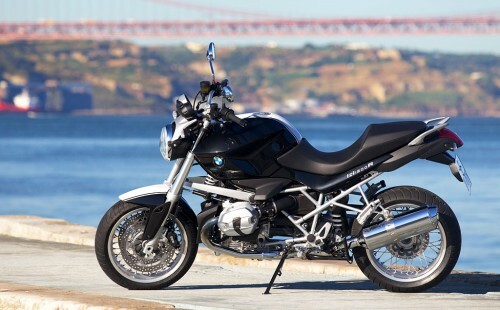 Either way, I expect displacement greater than the current R1200’s 1170cc. Some have theorized this new Boxer will be called “HP2 Classic Roadster,” but I have doubts the word Classic will be included in its name. 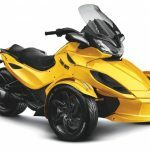 But whatever it will be called, with a more powerful engine and what I presume is a lighter chassis, it looks like it could be quite fun to ride.